After completing the renovation of his home in Austin, Texas, photographer and designer Chase Daniel shared the final result of his bathroom. 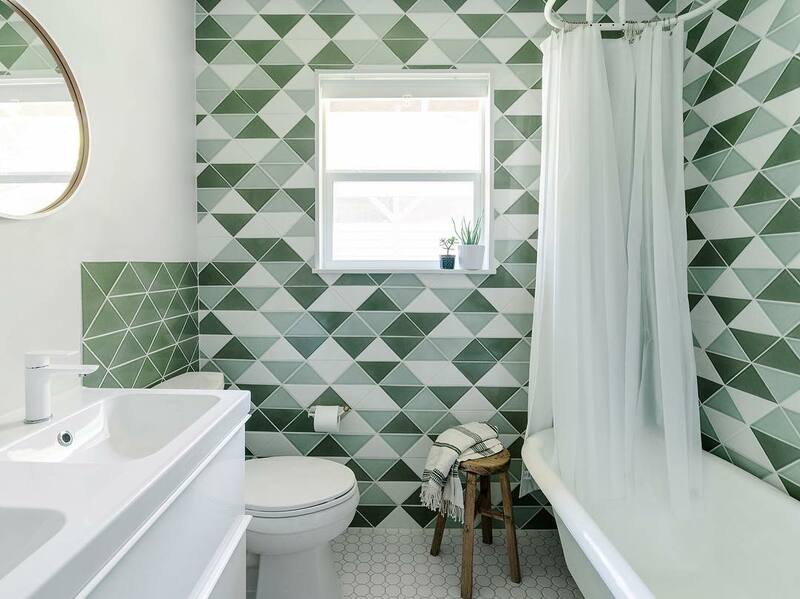 He covered the walls with triangle tiles from Fireclay Tile in the shades of Rosemary, Salton Sea, and Frost. The rest of the small space was kept clean and simple to allow the tile to do the talking.